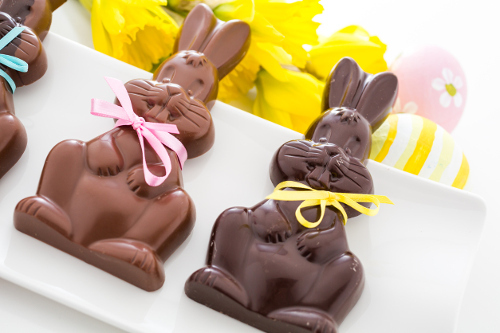 Home » Food and Nutrition » Easter Chocolate: Is There a Right Amount to Eat for Good Health? Easter Chocolate: Is There a Right Amount to Eat for Good Health? I had to do a little digging to find any health benefits of an Easter chocolate influx. But, I think I found something you’ll be quite happy with this weekend! Although you may not be the main beneficiary of the annual Easter egg hunt this Sunday, you’ll certainly have a taste. After all, who can resist that amount of Easter chocolate in the immediate vicinity? I certainly can’t when I’m watching my kids search out their chocolate bunnies and cream-filled eggs. But I do know how to make it work for me and how to help you, too. A few years ago, a European research team conducted one of the biggest epidemiological studies ever focused on inflammation. In that study, researchers determined the perfect amount of chocolate a person can eat to experience health benefits. The benefits include lower levels of inflammation that can play a big role in reducing heart disease, heart attacks, and strokes. Eating 6.7 grams of chocolate per day is the literal sweet spot to take advantage of its total antioxidant capacity (the ability of antioxidants in various foods to reduce harmful free radicals in the body). That is the equivalent of about one square of a chocolate bar, roughly two or three times per week. Researchers found that participants who adhered to this moderate amount saw their level of C-reactive protein drop by 17% compared to those who ate more. C-reactive protein is a marker of inflammation, and the drop translated to a reduced risk of cardiovascular disease by one-third in women and a quarter in men. Not all chocolate is created equal. To get the benefits of the antioxidant polyphenols—including protection against oxidative stress, improved glucose metabolism, lowered blood pressure, and improved cardiovascular health—you’ll need to choose minimally processed dark chocolate. 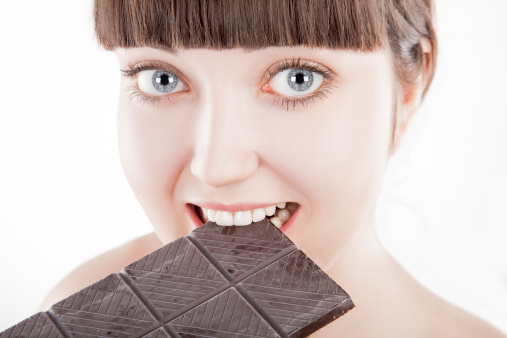 Milk chocolate doesn’t offer the same benefits because it interferes with polyphenol absorption. So, when you’re picking through your kid’s or grandchild’s egg haul, make sure you grab the dark chocolate treat they found—they probably won’t want it anyway! Look; I’m not going to recommend that you start eating lots of chocolate for its health benefits and I’m not going to claim that it’s the best heart booster out there. But, if you do want to treat yourself this weekend or once in a while in general, eat it in moderation. Sticking with two or three squares (about 6.7 grams) each week can help lower or manage inflammation and protect your heart while indulging your sweet tooth. “Dark Chocolate: Half A Bar Per Week May Keep Heart Attack Risk At Bay,” Science Daily, September 24, 2008; https://www.sciencedaily.com/releases/2008/09/080923104408.htm, last accessed April 11, 2017.